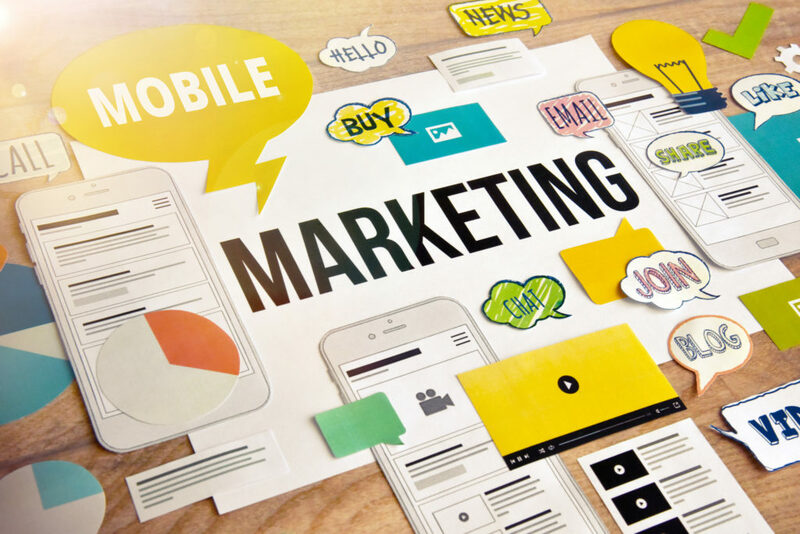 Running a business has always required a solid marketing strategy, but this is the Information Age – and now, marketing takes place on more levels than ever before. If you want your business to succeed, you need a strong online presence that follows the most cutting-edge website marketing strategies. The following sections delves into each of these website marketing strategies, how you can implement them, and how they’ll help you. Before you start any website marketing strategy, get to know your ideal buyer persona. Identify the perfect customer for your product or service, and write down who he or she is – this information will inform every marketing decision you make, from content development to social media engagement. She’s between 25 and 40, and she knows exactly what she wants. She doesn’t spend a lot of time window-shopping – she goes directly to the department she needs and zeroes in on her favorite brands. Her salary as an emerging professional in her field ranges between $65,000 and $85,000 per year. She’s in command of her finances, her emotions and her decisions, but she always appreciates tongue-in-cheek humor and prides herself on her ability to choose quality home furnishings and décor. He’s a hard-working adventurer who’s always looking for an opportunity to escape to the lake, the woods or the mountains. Because he works so hard, he appreciates a great deal – but when he’s not working, you’ll catch him stepping into a canoe at 4 a.m. on a Saturday morning, packing his Jeep with gear for a weekend getaway or strapping on snowshoes and heading north. This all-around good guy earns between $45,000 and $75,000, and he’s always on the lookout for the latest outdoors gadgets. Send out surveys and questionnaires to help zero in on your ideal buyer personas. You can use your existing opt-in email list or pose questions on social media. Don’t be afraid to ask your customers to inform your future marketing decisions. Once you identify your target market by creating buyer personas, figure out how to present your brand in the most effective ways. Define your company’s values and mission, and translate them into language your ideal customer can understand and appreciate. How does your company meet your customers’ needs? How does your brand fit into and complement your customers’ lives? Create a story around your brand. Follow it from its inception through today, focusing primarily on how you want your ideal customer to feel when he or she sees your logo, your company name or your products. Pro tip: Use color psychology to match your brand to your buyer personas, and always keep your branding consistent across every channel. Good user experience, or UX, focuses on what users want – not on hard sales and self-promotion. For most business owners, consulting with a professional marketing agency to create a positive UX is absolutely essential. Your website is the connection between your company and its potential customers – and the best way to attract them is through search engine optimization, or SEO. Sure, you can put up a dozen blog posts or promotional videos each day, but that’s not going to cut it. Your competitors are doing better, and you need to, too. You need data-driven ideas that bring in search engine traffic and turn prospects into loyal customers. Search engines crawl websites to rank and sort pages according to how useful they are to searchers. Search engine optimization allows your site to meet users’ needs so Google and other, less popular search engines can deliver it on the first page of results. For that reason, 61% of all marketers make SEO a top priority. Drilling down more, Americans aged 18 to 24 are primarily on Snapchat – 78 percent of them, in fact. Further, 71 percent use Instagram and 45 percent use Twitter. Pro tip: Take note of your buyer personas and zero in on the sites that dominate those age groups to inform your social media strategies. Social media marketing is about more than creating a few posts. It’s about engaging your customers and sharing content they really find useful – and that they know their friends and colleagues will also find useful. You can’t afford to drop the ball when all your potential customers are watching from the sidelines, so it may be worth outsourcing social media development and maintenance to the pros. Your website is the foundation of your digital marketing campaign, but social proof is the glue that holds everything together. Your reputation is on the line with every order, every purchase and every delivery – and because 84 percent of people trust online reviews as much as they trust a friend’s recommendation, it’s important that you’re proactive in managing yours. Seek out favorable reviews, and when you get them, acknowledge and thank the people who leave them. Give your visitors an incentive to receive marketing emails from you. Maybe you’ll create an e-book packed with great tips, or perhaps you can send people exclusive access to members-only deals. You can use that valuable asset to encourage your customers to share their email address with you – and the best part is that they’re already interested in what you have to offer. Creating an email marketing strategy helps you stay a step ahead of your competitors. Your customers are hearing from you, and you’re giving them something your competitors aren’t – your brand earns loyalty that way. Use your email campaigns to continue building that relationship with people who already trusted you enough to give you an email address. A professional gymnast watches his routine dozens of times to evaluate exactly where he slipped. An expert archer shoots thousands of arrows and scrutinizes each draw. A successful marketer does the same thing: carefully executes an informed, data-driven plan and watches its journey all the way back to the website. 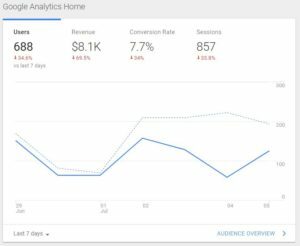 Use powerful tools like Google Analytics, Moz, KISSmetrics or CrazyEgg – or another tool you’re comfortable with – to evaluate the life cycle of every piece of marketing material you use. You’ll be able to make more informed decisions and enjoy better results after every cycle. The internet isn’t going to stop evolving, and neither should your marketing strategy. Because you have other things to do – like run your business – it pays to learn from and work with the industry’s most trusted experts. We invite you to read through our marketing blog for tips and tricks that help you stay on top. When you’re ready, call us at 469-661-1040 or fill out the form below for a free, one-hour consultation with a marketing expert who can propel your company to the next level. Do you want to reduce your website’s bounce rate and improve your lead conversion? Bounce rates measure the number of users leaving your website after viewing only one page. According to ConversionVoodoo, the average bounce rate in the e-commerce industry is 33.9 percent. Even if you are on par with your competition, you will still lose nearly 3 out of every 10 visitors that land on one of your web pages. Read on to learn more about how you can lower your bounce rate and produce a higher lead conversion on your website. You can improve your lead conversion by improving the quality of your written content. Enhance the readability of what you write. Consider who your target audience is and what they want to read. Are your products and services geared toward a more sophisticated consumer? If that’s the case, you can write at a higher level. If your audience is new to the industry, you may want to consider a simpler approach. Your web content should be easy for visitors to read and understand. To maximize the value of your website to your business, you must create a smooth browsing experience for visitors. If you don’t, you risk losing potential clients, often in the blink of an eye. According to Amazon, a delay of just one second would cost them $1.6 billion of sales revenue each year. Although Amazon is a reputable leader in e-commerce, this statistic shows the tremendous impact slow load times can have on any business. You can create a positive user experience for website visitors by spending time on web design and testing the front end. This way, by the time your website reaches the public, it has few glitches. Users will want to browse other web pages if you make it easy for them to do it. Cut down your load times and watch your bounce rate go down with it. Blogs allow you to increase lead conversion while also improving search engine optimization (SEO). By writing regular blog content, you generate interest in your website while also showing your reader you are an authority in your field. To do this, spend time researching hot topics and other trends in your industry. What are some emerging areas in your field? Are there any unique issues posed by changes in the technology your clients use each day? Your blog content should be relevant to your audience and provide them value. If you create well-written blog content that continually interests your readers, you can create a following over time. Blog content also has a positive impact on your website’s SEO. According to Axonn Media, a company with blog content has 434 percent more indexed pages–pages included in search engine results–than one that doesn’t. The external links on your website should be set to open in a new window. If they open in the existing web browser window, your visitor is immediately taken to a new website. In short, they have “bounced” from your site and may not return. However, when external links are set to open in a new window, you eliminate that risk. Your website remains open in its existing window and you avoid a user having to use the back button to return to your content. Multiple back button clicks for a user can result in “back button fatigue”, according to UX Movement. For example, if your user opens an external link that doesn’t open in a new window, they’re taken directly to the external website. Then, they may click one or more links on the external site. If they decide they want to go back to your website, they may not be able to find it easily. Clicking the back button multiple times is tedious and load times on the external site may be slower than yours. Your website should operate seamlessly across desktop and mobile platforms. From a user’s standpoint, it matters now more than ever before. According to StatCounter, mobile web browsing surpassed the desktop for the first time in October 2016 when 51.3 percent of users accessed the internet through a mobile device, like a smartphone or tablet. Mobile web browsing has been trending upward since 2009 when the study began. And with the continued advances in mobile web technology, it’s showing no sign of slowing down in the future. As a business, focus on ensuring that users have the same experience on your website, whether they access it from their smartphone or laptop computer. Website optimization for mobile has never been more timely. In today’s digital age, your website can be a potential client’s first (and only) impression of your business. You need to make the most of this opportunity and send a positive message to that would-be client. Have a professional web design and fast load times. But drawing a visitor to your website is only part of the process. You need to decrease bounce rates and improve lead conversion to generate more interest in your business. More interest then creates higher revenues. At MarketCrest, we have an award-winning team built to support your revenue goals. We’ll help your company grow and stand out from the competition. We’ll work with you to identify marketing opportunities and increase revenue. Contact us today to learn how we can help your business develop a stronger web presence. Recently, MarketCrest, LLC received results from both the Vega Digital Awards and MarCom Awards and is proud to announce that the McKinney,TX based marketing agency scored wins on both submissions. 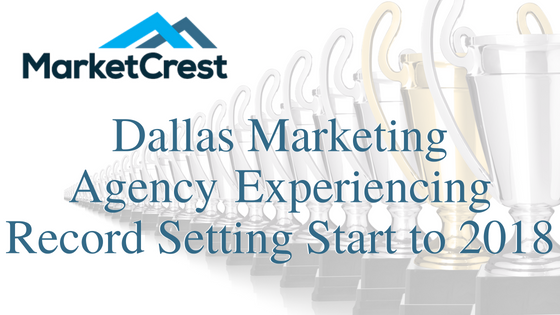 MarketCrest is a boutique digital marketing agency in the Dallas area that manages marketing strategy and delivers campaigns for companies across 5 states and internationally. Previously this year, MarketCrest won two Hermes Awards and two dotCOMM Awards for work completed for and with valued clients. With the addition of the new MarCom Award and Vega Digital Award, MarketCrest now has six 2017 awards that validate their commitment to delivering excellent work. MarketCrest submitted an eBook titled The Autodesk Industry Report to the MarCom Awards which was planned, designed and written for their client, HingePoint, a Dallas based consulting and development services firm. The Vega Digital Awards is a competition providing “international recognition for established professionals” and is “a launch pad for showcasing talent,” with 200+ categories and three winning levels: Canopus, Centauri, and Arcturus. A case study on the MarketCrest website was submitted to the Vega Digital Awards. The case study highlights the objectives, goals and results of developing and designing a website for their client GreenLeaf Industries, a custom plastic injection molding company. The case study was awarded an Arcturus Award in the category Website Development and Results and subcategory of Manufacturing. The case study stood against submissions by other marketing and creative agencies for brands such as: TEDx, eBay, LG, Nike, Jaguar, Dell, Frito Lay, Game of Thrones, and Star Wars: The Force Awakes. MarketCrest, LLC, a full-service marketing firm located in Historic Downtown McKinney, TX was recently awarded with two dotComm Awards for its marketing efforts in 2017. The first, a platinum award in the category of “Legal Web Video” was awarded to MarketCrest for animated marketing videos circulated via social media by their client Davis & Associates, an immigration law firm. The second, a gold award in the category of “Manufacturing Website” was awarded to MarketCrest for the extensive planning and work done to the website of client GreenLeaf Industries, a custom plastic injection molding company. The dotComm Awards is a recognized and respected international competition that rewards creativity and innovation within the complex and ever-changing online atmosphere. MarketCrest services fifteen clients across five states and internationally, each in a different vertical ranging from roofing companies, to retreat centers, to immigration law offices. MarketCrest specializes in digital marketing (digital content, social media, paid and unpaid promotions), search engine optimization services (website optimization and management, and off-site optimization), and consulting. With the growth experienced by MarketCrest in 2017, as well as the ability to consistently produce award winning work for several clients, it can be expected that MarketCrest will continue to expand and prosper. If your small or large B2B or B2C company needs consulting, marketing, or SEO services near McKinney, TX contact MarketCrest today by filling out a contact form on the website or calling (469) 661-1040.
the industry while promoting the philanthropic nature of marketing and communication professionals. There are over 6,000 entries from throughout the United States, Canada and numerous other countries in the Hermes Creative Awards 2017 competition. MarketCrest, LLC, a McKinney, TX marketing consulting and marketing services firm with clients across five states, and one in the UK, were eager to showcase some of the recent creative work being delivered to clients. The team, led by President Scott Berry, decided to submit one of their case studies as an entry in the 2017 competition. “We’re proud of the creative content we produce for clients. We see the results every day but its important to realize that you really aren’t ‘best in class’ until your clients or independent third parties say you are. Congrats to our Marketing Coordinators Rachel Thomas and Hayden Smith along with our copywriting team. Our client is excited and reaping the rewards as well. Its an honor to be on the 2017 Winners List.” said Mr. Berry. MarketCrest’s award winning submission highlights the impact of a Re-Shoring campaign designed and managed for plastic injection molder, GreenLeaf Industries. Hermes Creative Awards is administered and judged by the Association of Marketing and Communication Professionals. The international organization consists of several thousand marketing, communication, advertising, public relations, media production and free-lance professionals. AMCP oversees awards and recognition programs, provides judges and rewards outstanding achievement and service to the profession. As part of its mission, AMCP fosters and supports the efforts of creative professionals who contribute their unique talents to public service and charitable organizations. Hermes entrants are not charged entry fees to enter work they produced pro bono. In addition, the efforts of generous marketing and communication professionals are acknowledged through grants and special recognition. Winners are selected from 195 categories grouped under advertising, publications, marketing/branding, integrated marketing, public relations/communications, electronic media and pro bono. A list of winners can be found on the Hermes Creative Awards website. There’s no point in having a gorgeous website design if nobody’s visiting. Design is good, but it’s converting traffic that will bring the ROI you crave. Creating a website that is elegant, user-friendly, full of great content, and converts leads into customers can be very difficult and expensive. Are investments to make your website search engine optimized (on-site SEO) really necessary? Shouldn’t a great looking and functioning website be enough to draw in potential clients? The truth is, SEO packages are just as important for a website as the design itself. Read on to discover why SEO packages are so important and worth the investment. What are SEO Packages & How do I Pick the Right One? SEO stands for search engine optimization. It’s the process of bringing traffic to a website by increasing the site’s visibility in search engine results. 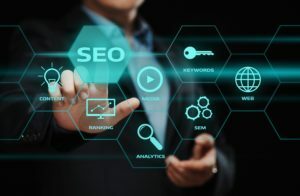 Websites can improve SEO by maintaining high quality and unique content and by indexing pages correctly. Search engines rank websites based on various criteria, such as blog article length, site reputation, page titles, keywords, and so forth. They catalog all of these details for every website. There are also algorithms that take some of those criteria and rank various websites that both meet the search terms, as well as their algorithm for website quality. SEO is a way to ensure that your website receives a high ranking from a search engine’s algorithm and is one of the top search results when a potential client searches for your products and/or services that your business offers. To further complicate things, search engine companies like Google will change their algorithms often to ensure that websites aren’t cheating the system by catering their website specifically to the algorithm. Search engines want their users to find the content they’re looking for, not just websites that are good at SEO. If your website isn’t good at SEO and doesn’t stay on top of it, then you will not receive the traffic you need to grow. Businesses, in order to be successful in this age of algorithms, must work hard to ensure that their websites are popping up in the search results. If your content isn’t showing up organically in search results, you may have to rely on paid ads to drive traffic. Thats not a huge problem but most business owners prefer to have a large portion of their traffic being driven by non paid advertisement for obvious reasons. Unless a potential client has a flyer, business card, or brochure with your web address listed on it, most people are going to find your website using a search engine. SEO will make sure your website shows up in those search engines. Have a website and not sure if it is optimized for search engines? Consider an SEO Audit to ensure your website is fully optimized. Why isn’t Great Website Design Enough? Let’s say you’re an architect. You’ve built a beautiful house that is perfectly proportioned, has lots of natural light, flows well, and is comfortable. See where this is going? A beautiful, well-designed website is great. But if your potential target lead is unable to find your website, or is even unaware that it exists, how will you be able to win that lead and convert them into a client? Search engines are easy and reliable. All of us use them on a daily basis for most of our internet activity. There are so many websites that we would be lost without a guide. Only after your website is found can you impress them with the great design and content. So a vibrant SEO package customized for the amount of traffic you need to reach revenue numbers is what your marketing plan needs. It is just as important to win over (convert) the client once they do visit your site. Most SEO packages will include a full assessment of your website’s user-friendliness. If your website design is beautiful but impedes visitors from finding the content they’re seeking, then the design isn’t user-friendly. The aim of an SEO on-site analysis is to ensure that your visitors are arriving at the content, and then being converted by your “call-to-action” to paying customers. A great SEO company will know how to use the website design and content to your advantage. There may be a few tweaks to the wording, page titles, or the internal and external links on your site. 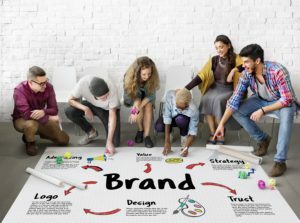 Ultimately, though, your company’s brand and message should stay the same. Until organic search traffic from SEO efforts dominate the website’s search traffic, your marketing plan could also include PPC (or pay-per-click) consulting. That is, understanding your website’s potential for growth through the use of PPC advertising. Then, you could capture a dominant share of the online search traffic and transform your business rather than go for steady growth! While your website’s design may seem like the most important priority when turning your website into a lead generation monster, it’s just not the case. Your company will benefit hugely from the proper sized SEO package, which will allow you to capture a larger share of the online search traffic. About MarketCrest: We are a firm focused exclusively on Marketing Consulting & Services that drive revenue growth. Simply, we exist to help you compete and grow and we expect to be held accountable for your improved performance. Learn more, and receive a free 1-hour consult and Get Content & SEO Help NOW! Some business mistakes are more costly than others. In the digital marketing world, there are at least 10 marketing mistakes that you simply cannot afford to make and still expect to achieve your revenue targets. Here are 10 huge mistakes to avoid. Make sure Marketing and Sales know the revenue target required to reach your annual goal. Factor in the length of the sales cycle, close ratio, repeat business, capacity, onboarding and time to pay. Also collect information on existing customer revenue, anticipated growth, churn and carry over (sold fresh the previous year and in the coming year will bill a full 12 months). When you know what you need to sell… and when you need to get it sold and billed, you are ready to build your marketing plan. What is your one-page plan for supporting the revenue goal the way it needs to be sold this year (products/services)? What is your marketing expense required to execute on your marketing plan and how will the cost be allocated across the calendar year? Not sure if you are investing enough on your marketing? Check it against your industry and small business benchmarks (often 3-10% of sales depending on your industry and how mature your market is). Analyze the previous year’s category spend and determine what to cut or expand. Create a SWOT analysis if needed. How many personas (target audiences) will you be marketing to and can you segment the existing contact information to match. Do you need to secure additional contacts? Do you need to secure resources to help you attain your marketing goals? Have you considered all the marketing tools and technology available to support marketers in this app heavy environment? Personas and Keyword analysis will determine your web page content and content plan for the year. Understanding your target audience is key to designing content for a specific purpose. Do you have content designed to help your target market get through their entire buying cycle? What if they are “kicking tires” and what do you have for them if they are deciding between your firm and one other? Google rewards websites with lots of high quality, fresh pages. Quality content increases the likelihood of increased traffic, lengthy stays and high page rankings. Create content that engages an audience, keeps them on your page, or makes them return. It is important that your website has the ability to reel in consumers and offer them an option to become engaged with the company. This allows you to create engagement, nurture them during the buying cycle, monitor and score their activity and nudge them to convert. Examples: Do you have strong Calls To Action (CTA) on your web or landing pages? Many companies rely on CTAs such as Speak to a Specialist, Request a Quote/Sample, Get Help Now! Request a Free Consult, Sign Up Here, Download Here, and Follow or Share our Social Media Links. Consumers want a service or company that they can trust. Trust comes from being a credible source. One way to achieve credibility is to become an industry expert online by publishing original content that customers or other industry leaders may reference when looking up relevant information. Content marketing is a strategic marketing approach focused on creating and distributing valuable, relevant, and consistent content to attract and retain a clearly defined audience – and, ultimately, to drive profitable customer action. It might be a blog article, web page, landing page, ebook, slide deck, video, webinar, photo, social media post, podcast, infographic, case study, white paper, check list, research paper, or a press release. 86% of B2B marketers report that their organizations are using content marketing, and 70% of them are creating more content than they did one year ago. Consumers like to consume content in various ways. Some like to listen, some watch and some read. If you understand this, you can create content that is helpful to your visitors and customers and maximize its reach by repurposing content. Example: One, high-quality blog post or article can be turned into a slide deck, video, email, tweet, facebook post, brochure etc. Invest in quality content and remember to repurpose it relentlessly. Having a list of contacts is crucial. Keep track of all consumers, industry leaders, people who have visited your website or requested information, referrals, etc. Also know even a good contact list will decay by about 20+% each year because people are constantly unsubscribing, switching jobs, moving or getting new email addresses. As a result, you must be building your database of contacts 12 months a year. Having a long list of contacts creates a bit of a “tribe” that can support your business in good time and in bad. Share industry and company news; new articles, ebooks and research…then when you are ready to introduce a new product and service they will be there to provide advice and spread the word. What It Is: The rate at which your email list is growing. Look, you can’t kill email! It’s the cockroach of the Internet, and that’s a compliment. Resilience is a good thing. These days all emails are not created equally. A savvy marketer with the right technology, can set up workflows for email nurturing, include images, personalize with customer names, segment, and provide CTAs optimized for mobile. You have people willing to listen. Doesn’t your business have something important to say? 91% of consumers check their email daily (ExactTarget) and 48% of emails are opened on mobile devices (Litmus). 66% of consumers have made a purchase online as a result of an email marketing message (Direct Marketing Association) Email marketing has an ROI of 4,300% (Direct Marketing Association). Your company will want to measure your email program’s effectiveness. The most common email metrics are: sent, delivered, bounced, open (open rate), click (click rate or click to open), unsubscribe rate and marked as spam. Find the right key performance indicators for your business so you can test, tweak and improve. Just because people can’t find your company online, maybe it’s not the end of the world. Some companies don’t require online leads to increase sales. If you are one of those firms congrats…you are blessed almost beyond belief. For most of us, our potential clients use the internet to research and jump start their buying process. If we can’t be found…then it’s like we don’t exist…. In search engine optimization, off-page optimization refers to factors that have an effect on your Web site or Web page listing in natural search results. These factors are off-site in that they are not controlled by you or the coding on your page. Examples of off-page optimization include things such as link popularity and page rank. If your company is not helping people find you by using paid search or PPC (a quick hit)…get started the right way. Tip #1: Identify which organic keywords drive traffic and convert on your website. Tip #2: Determine how much you’re willing to pay for a lead or conversion. Paid Ads are a great way to “test” new landing pages (copy and CTA). Make sure to have a written sales AND marketing strategy. Create a website that has SEO optimized copy; fresh unique content; is constantly evolving and more than a static “billboard”… and has landing pages that produce conversions. You will want to have a list of relevant contacts (the making of a “tribe”) and make sure to be contacting them at least once per month. If you are operating without a formal sales and marketing plan designed exclusively for the current year and your annual revenue target…you are operating on a wish and a prayer. You can repair the damage quickly though…contact the team at MarketCrest a request a free consultation. Tell us about your current business challenges and imperatives and we will share how similar companies are solving those issues using online or digital marketing.